Sand casting is a widely used process of casting. As the name shows, the mold is made of sand. 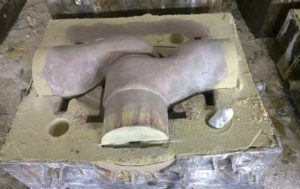 Sand casting requires the incorporation of finished parts, models, or wooden models in sand, and then fills the sand at the end of the pattern and opens the box to remove the shape. 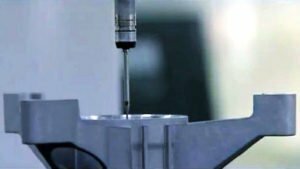 precision casting, sand casting,die casting,forging ,welding,gravity casting,lost wax casting,investment casting,stamping,CNC machining,injection…..
7. Small order is welcome. 1. Our factory has many years’ experience in casting industry. 2. We have 96 workers, 3 engineers and 6 quality inspectors. We are mainly engaged in ductile iron casting ( materials: 400-18, 400-15, 450-10, 450-12, 500-7, 600-7, 700-2, 800-2) and gray iron casting ( materials: HT150, HT200, HT250, HT300) , and the weight is between 0.5kg to 100kg ( for 100kg+, we have out source). 3. Our factory has installed dust removing equipment and our products are environmental protection. 4. Our products are totally for export and mainly export to Europe and America, therefore, we know the technical standard of Europe and America very well. Our foreign trade sales team members have many years working experience.Our company has enormous resources of various manufacturers and distributors.And we can meet customers’ various needs in quality,quantity,price and delivery time etc. According to clients’ circumstances, we will recommend most suitable parts for them.Our company haenormous resources of various manufacturers and distributors.Professional service and positive feedback. Competitive and reasonable price to help customers to win markets, reliable supplier and stable quality guarantee.